View our portfolio of kitchen we have designed, manufactured and installed. We invite you to view just a sampling of our new and remodeling projects. Discover the latest trends in kitchen remodeling with our design ideas. 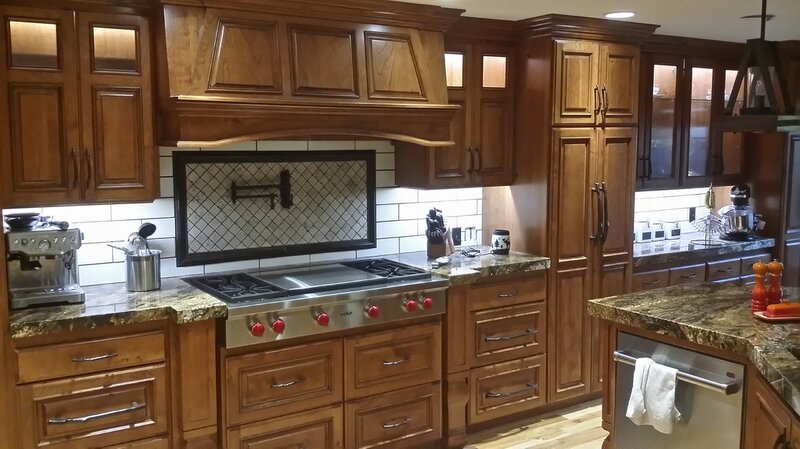 From cabinets to floors, counter tops or lighting fixtures, you can use our site to get the inspiration you need for a great new kitchen. From Old-style to Contemporary, you should be able to find the style that fits your need.